Apparently there is no harm to the Battery if you keep it plugged in all the time when not driving. Most people suggest in the group to always charge your Tesla Model S if you can. 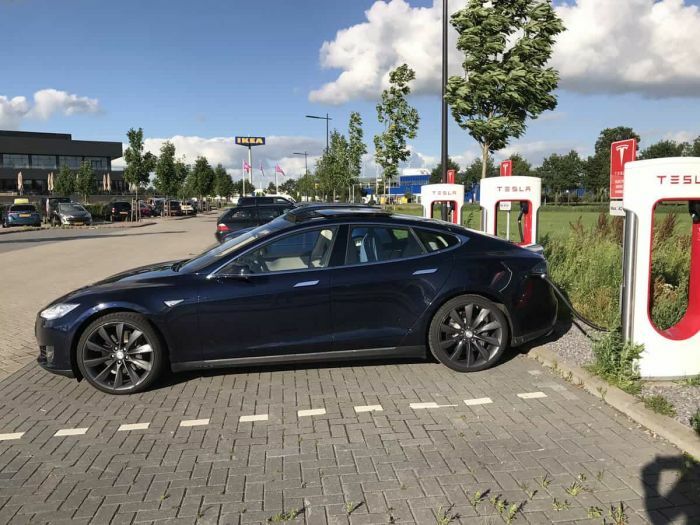 They say feel free to plug your Tesla in whenever you want. Most people think they will harm their car battery if they charge too often. But apparently you won’t do the battery any harm by charging to 100% as long as you plan on leaving within the hour of reaching a full charge. "My MO is to daily charge to 90% then crank it to 100% when I wake up for work (I have a 120 mile commute.) While out I bring the charge level back down to 90," comments Phil in the group. Wesey Chuen, another Tesla Model S owner, remembers that someone has once asked Elon Musk a very similar question. "That person uses quite a bit more than you do each day," he replied to Phil. "Elon said it's better to charge to 80% everyday," Chuen writes. But this personal Tweet from Elon Musk shows that charging to 80% is better than to 90%. He posted this a year after his 85%-90% post, which I can't find now on the internet. "The most important way to preserve the Batter is to leave your vehicle plugged in when you are not using it. This is particularly important if you are not planning to drive Model S for several weeks. Model S wakes up when needed to automatically maintain a charge level that maximizes the lifetime of the Battery. There is no advantage to waiting until the Battery's level is low before charging. In fact, the Battery performs better when charged regularly," reads Tesla's Owners Manual. Everyone, including Tesla, recommend plugged your in your EV at all times. As Tesla's manual reads you Battery performs better. CHARGING — FROM TESLA MANUAL Tesla strongly recommends leaving Model S plugged in when not in use. This maximizes the lifetime of the Battery Your Model S Battery is one of the most sophisticated battery systems in the world. The most important way to preserve the Battery is to LEAVE YOUR MODEL S PLUGGED IN when you’re not using it. This is particularly important if you are not planning to drive your Model S for several weeks. When plugged in, Model S wakes up when needed to automatically maintain a charge level that maximizes the lifetime of the Battery. This also protects the 12-volt battery. There is no advantage to waiting until the Battery’s level is low before charging. In fact, the Battery performs best when charged regularly.